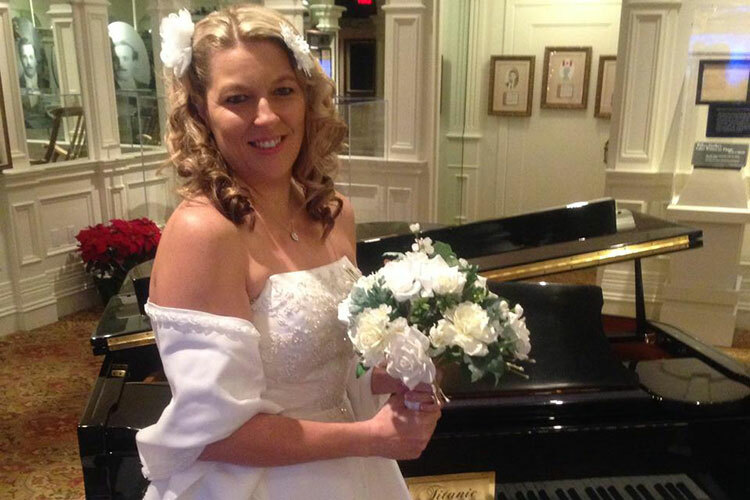 WEDDINGS ON THE TITANIC AT PIGEON FORGE, TN. 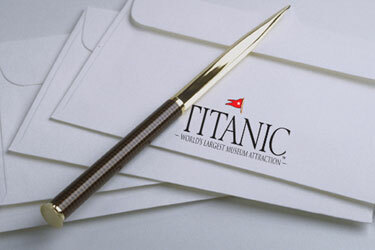 Thank you for your interest in the Titanic Museum Attraction. 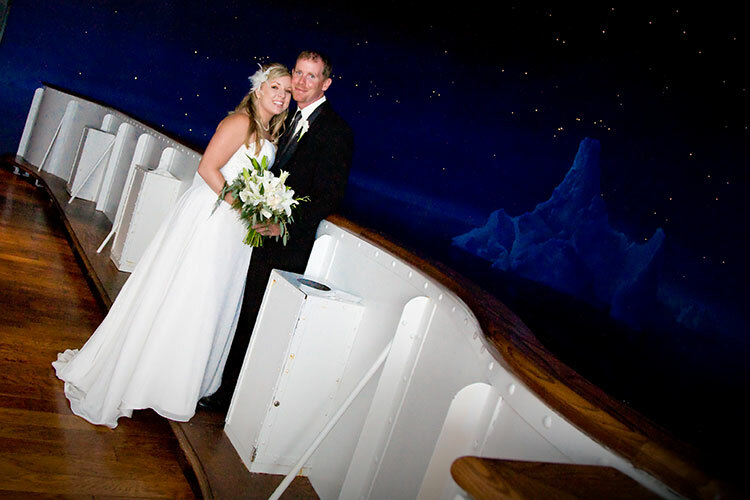 Couples can now celebrate their big day in “turn-of-the-century” splendor at the World’s Largest Titanic Museum Attraction in Pigeon Forge, TN. Weddings and Vow Renewals at Titanic are the perfect choice for couples seeking an experience of pure romance, beauty and elegance. Here, the Gilded Age of magnificent excess lives again as bride and groom take their vows standing on the Grand Staircase or at the waters edge. The Titanic Museum Attraction houses over 400 priceless artifacts along with historic treasures and allows each visitor to encounter personal heroic and romantic stories of its passengers. Towering 100 feet above street-level, this ship-shaped adventure is a must see attraction! Please review our wedding and vow renewal packages and let us know if you have any questions by clicking on our CONTACT US tab. 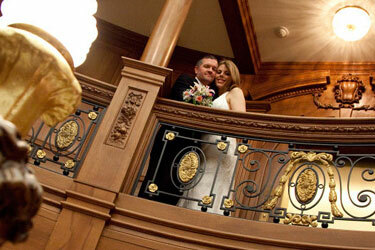 Our professional wedding coordinators are excited to help you plan your Happily Ever After day at Titanic. 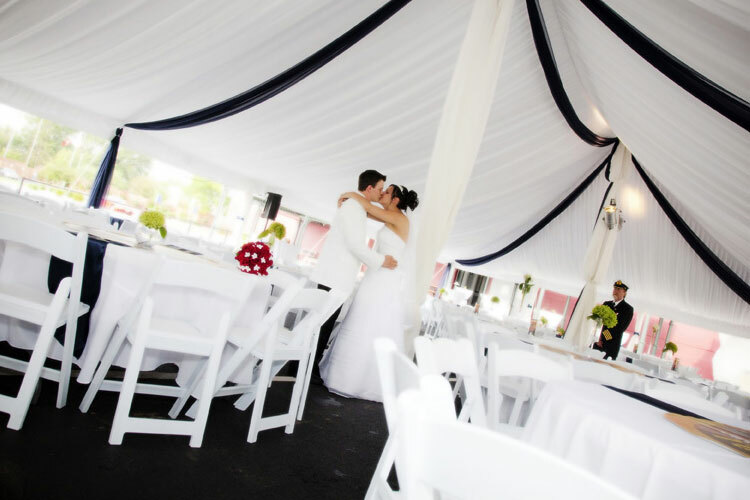 We have several different wedding packages to choose from. We are sensitive to the brides’ individual needs and preferences. Let us handle all the arrangements so that you, your family and friends can fully experience this magical day without having to worry about the details. 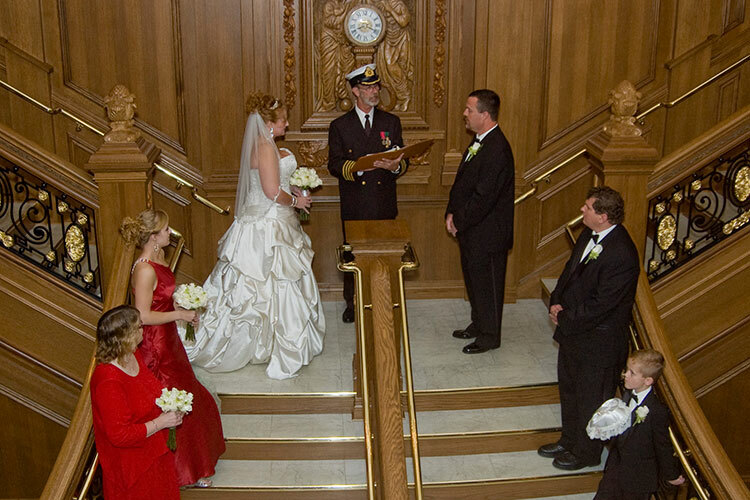 Held in elegant style on Titanic’s Grand Staircase, every ceremony is presided over by the ship’s captain. 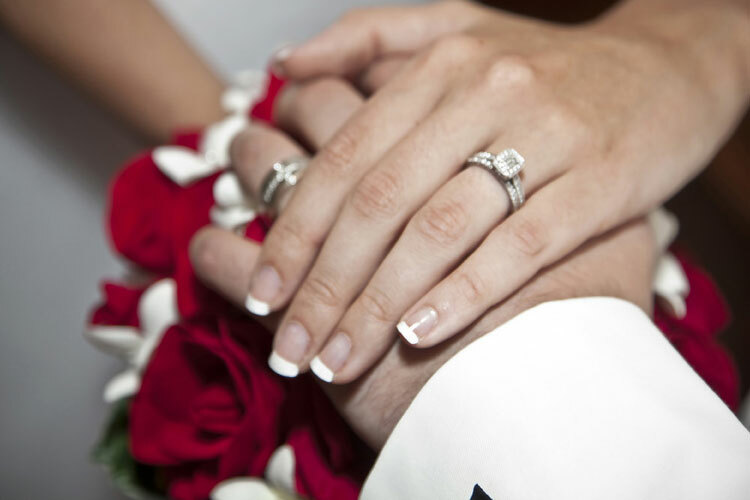 We have several vow renewal packages to choose from. Meet our wedding specialists. 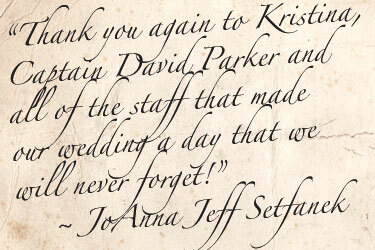 Our experienced staff is committed to orchestrating your special day and creating lasting memories. No detail is too small. 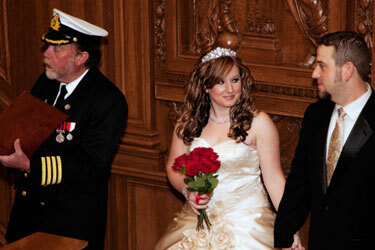 View a gallery of selected photos from previous weddings held at the Titanic Museum Attraction. 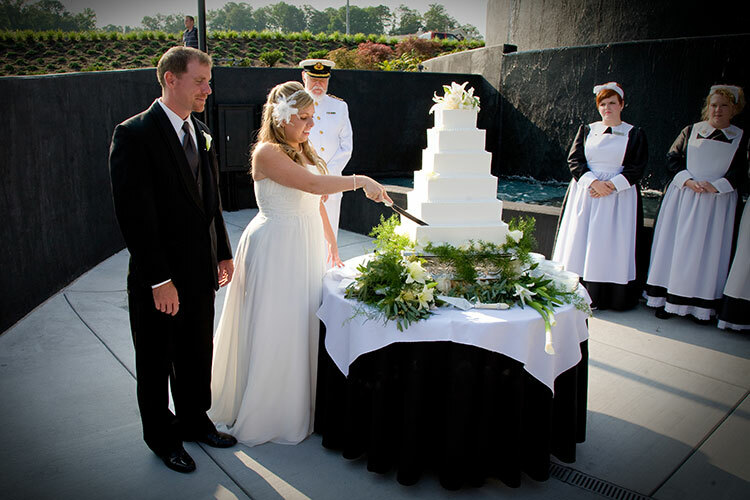 Hear from our brides about their elegant wedding day at the Titanic Museum Attraction. 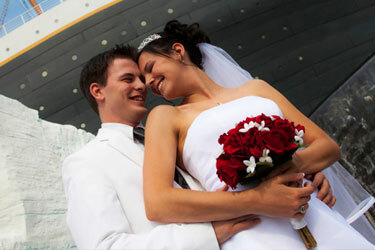 One of our experienced wedding planners will contact you to begin planning your special day.